As we once again turn our calendars for a new year, there's time to look back and also plan ahead. Thanks to everyone for 2017 and may the 2018 be even greater! Development of QNanoPainter has progressed while using it in different projects. Recent commits include updating to latest NanoVG, support QRenderNode with Qt >= 5.8, control texture size separately from item size, misc. performance improvements, and improved examples. So if you still don't utilize it with your Qt Quick applications, you should take it for a spin! To get more details and comparison to other methods, check out this blog post. 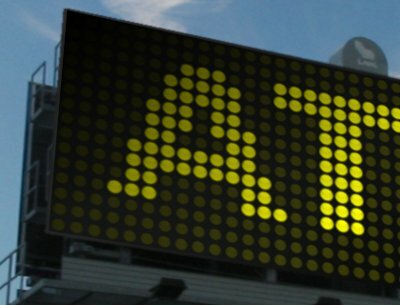 Qt 5.5 was released today! Among all other goodies, this version contains technology preview of Qt3D which offers straightforward way to get 3D content into QML UI. So we wanted to put it into test and implemented Cinematic Experience 3D! This should give some ideas what kind of UX can be achieved when combining 2D and 3D with QtQuick. Demo is running fluidly on desktop and Android devices where Qt3D is currently supported. To see the demo live and download Qt 5.5, check out the official blog post. Work hard, play hard... and support when you can. This fall we decided to support the youngest juniors of our local football ("soccer" to US friends) team called PeKa. In co-operation with Sportia, all kids will get some sport gears for the next season. So thanks to everyone we have had a pleasure to work with during the year, you participated in making these kids happy! The beginning of 2014 has been pretty hectic and we have been busy working. 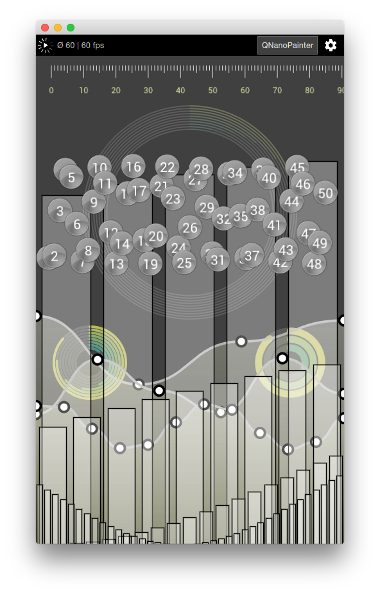 But we anyway wanted to spend a little time implementing an example of using recursive shaders with QML. None of the examples provided with Qt5 are using this feature and recursion can be a usefull trick in Qt developers toolkit. 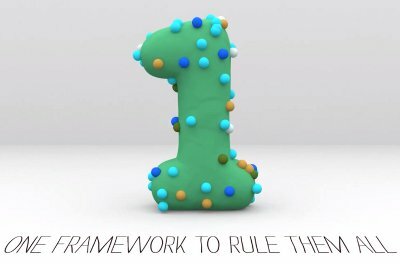 GForce application which demonstates rendering history graph using a recursive shader can be downloaded from our work section. Qt 5.2 Beta was released yesterday with the final 5.2.0 expected to be released by the end of November. We wanted to make sure our demos work on Android, so we ran some tests with the beta release on Nexus 7. Results were that pretty much everything is working and we found only few minor issues. So feel free to download examples from our work section and give them a go also on Android! For a video demonstrating different QUIt applications on Nexus 7, please see here: http://youtu.be/Lc8GQBcLHWQ. Qt for Tizen project (http://qt-project.org/wiki/Tizen) has progressed well during the past months. This project which we dig very much, is all about bringing a top-notch Qt5 support into Tizen. 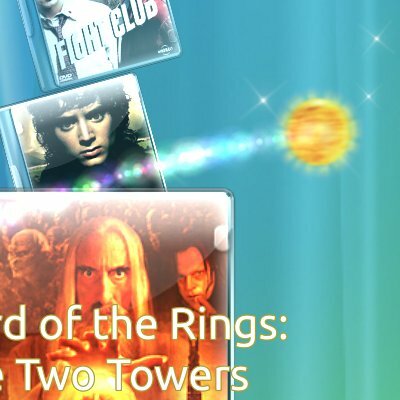 We are especially delighted how well Cinematic Experience is running on Tizen developer devices (http://www.youtube.com/watch?v=ueijEXp2dAY) as well as other Qt5 UX demonstrations we have provided recently (http://www.youtube.com/watch?v=TeVDVRcjfhw). Another day, another sample component! 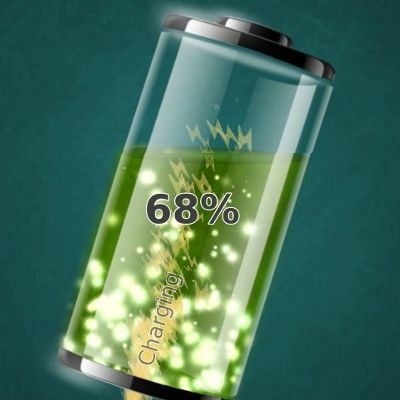 This time we release a Qt5 battery component which demonstates fluidity possibilities, literally. This component is more specific than earlier QUItIndicators, which gives more freedom to designers. We wish also this to be useful for developers utilizing Qt5 & QML. More information and source codes are available from here. Today we released a new example of dynamic Qt5 QML+GLSL components. This QUItIndicators set contains BusyIndicator and ProgressIndicator components with an example application presenting their usage. We wish this to be useful for developers implementing their own Qt5 QML components. More information and source codes are available from here. Embedded World 2013 exhibition & conference was held this year 26. - 28.2. in Nuremberg, Germany. With more than 800 exhibitors and over 20.000 visitors, Embedded World is one of the major events around embedded technologies. Naturally, Qt was also presentent at the show and Digia had a whole booth dedicated for Qt on various embedded operating systems. 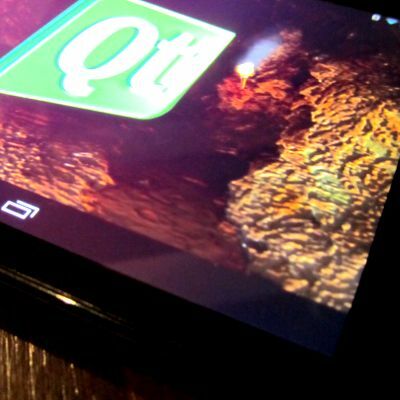 This time our Qt5 Cinematic Experience was demoed not just on iOS and Android, but also on QNX. Being able to run the same application fluidly on Apple iPad, Asus TF300 and BlackBerry PlayBook really shows the power of Qt5. Kudos to the whole Qt community! The first stable release of Qt5 is finally here! We want to congratulate the Qt Project and thank everyone who has participated into getting Qt5 ready for the prime time. To try Qt5 for yourself, head over here and download the latest Qt5 SDK. 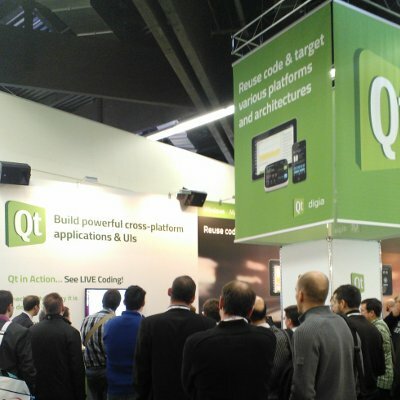 Qt Developer Days were held this year in Berlin (Europe) and Santa Clara (North America). 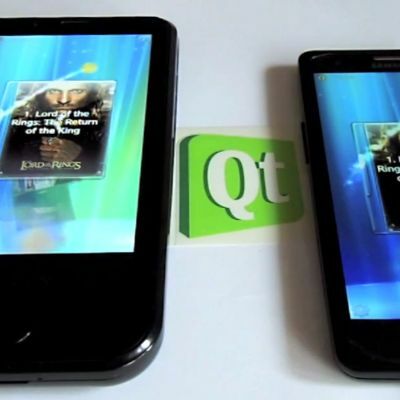 During the developer days, Digia demonstrated Qt5 on both Android and iOS using our Qt5 Cinematic Experience application. Digia has released a video of these demos which can be found from here. We are very happy to see Qt5 progressing and getting supported on new platforms! NMapper application is demonstrating the normal mapping technique using Qt5. 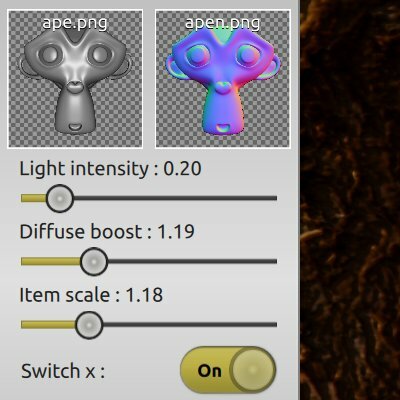 With this application it's possible to test test different texture images and adjust the lighting conditions. More information and source codes are available from here. The Cinematic Experience is available now also for Raspberry Pi, a credit-card sized computer with an affordable $25/$35 price. This version is optimized to perform well with the RPi hardware and with high 1080p resolutions. More information and source codes are available from here. 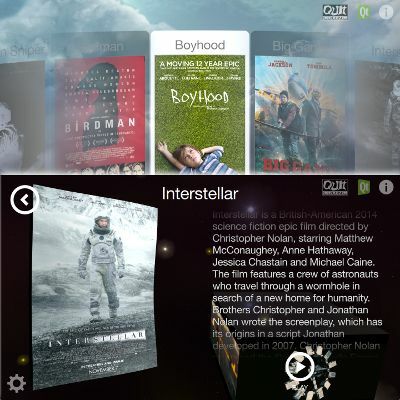 'Cinematic Experience' collects many of the new Qt5 QtQuick 2.0 features into the same UX demo application. 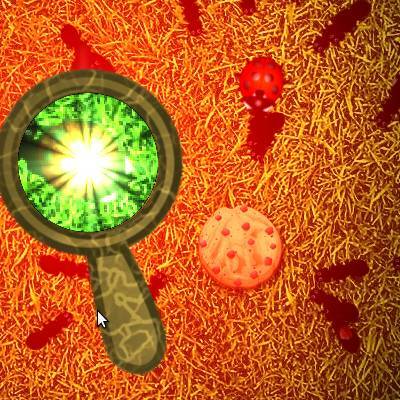 It uses particles, sprites, path animation, custom shaders etc. new features which Qt5 introduces for QML UIs. More information, video and source codes are available from here. As the Qt5 beta is approaching steadily we decided to publish a small example again, showing the Qt5 QML + GLSL shader power. 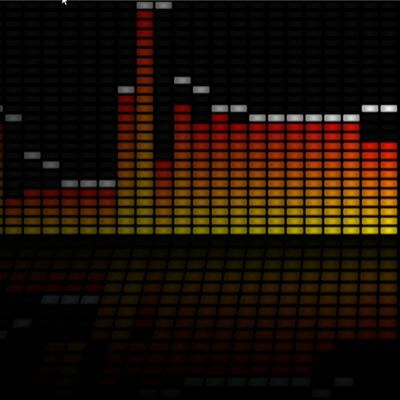 This time outcome is a LedScreen component which can "ledify" any QML content. Video and sources with few examples are available from here. Feel free to use it in any imaginative ways! Smoking success in Nokia store! We released Smoke the Bugs game about 6 weeks ago and have since received very positive feedback from users all around the world. 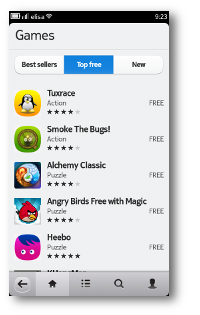 As you can see from the screenshot, Smoke the Bugs is currently listed being the #2 most popular free game for Nokia N9! Symbian version for Anna & Belle devices hasn't yet reached similar success, but download numbers are growing steadily. We love hearing comments from users so keep 'em coming! For more information about Smoke the Bugs, please check here. Today we released Smoke the Bugs! game for Nokia N9 and Anna & Belle devices. The development has been done using Qt Quick with shader effects to boost the action. Game is freely available from Nokia Store so please give it a try! For more information check here. Five now for Anna & Belle! Five In a Row is now also available for most of the Symbian Anna and Belle devices from Nokia Store! Our favourite user comment so far states "One of the best games I have seen in recent times in the Store. Both the single player and two player modes are fun to play. Simple and enjoyable.". Feedback like that makes us very happy and humble, thanks! Five In a Row for N9 available! 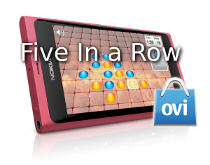 We are pleased to announce that Five In a Row game is now available for Nokia N9 & N950 from Nokia Store. This game is free and contains no ads, just straightforward gameplaying. 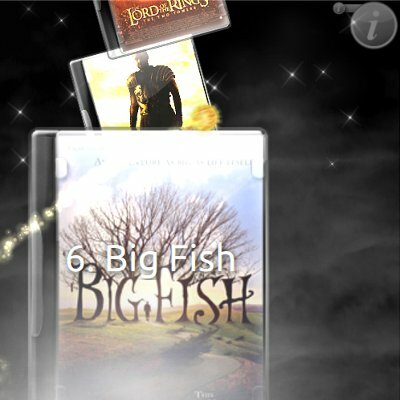 New features include one player game with three different levels of challenge: Easy, Medium and Hard. Which ones can you beat?! Freshly from our release queue comes this new example of distance field technique using Qt5 and Qt Quick 2.0. More information and source codes are available from here. We placed our Qt Quick Game Programming tutorial freely available about 8 months ago. During this time, it has been downloaded over 17.700 times and we have received very positive feedbacks from users! With the recent release of Qt-powered Nokia N9 MeeGo device, we hope that even more people will start enjoying the easiness and power of Qt Quick. So if you haven't done that already, please grab Qt Quick Game Programming tutorial from here and start preparing your own applications! Today we released a new minimal example of combining Qt Quick QML and OpenGL shaders, in the form of metaballs. More information and source codes are available from here. Please download the game and tutorial from here. QUIt Coding has today been accepted as one of the first members into new Qt Ambassador Program. As ambassadors, we are committed to continue providing extraordinary user experience with Qt. 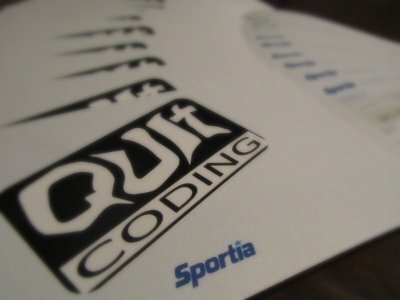 QUIt Coding is a small group of talented individuals enjoying software development with cutting edge technologies. We are official members of Qt Ambassador Program.